Here are a number of respected estate agencies recommended by a trusted friend in the province. Caves-r-us have a wealth of experience in selling freehold Spanish property. In this time we have built up a solid reputation as one of the UK’s leading Spanish property agents. We have the best properties in the best areas and at prices to suit every budget so If you are looking for a Spanish investment / holiday property or are fortunate to be able to move to Spain, Cavesrus can help you to realise your dream. With Caves-Spain you will find information on Spanish property throughout Andalucía, with useful tourist information, area details, plus help, tips and advice about buying or selling real estate. You will find properties suitable for holiday homes, investment or full time residency. Granada Homes based In Andalucía, where we have enjoyed a long standing relationship with the leading builders in the area; we offer Rural properties in the towns of Huescar, Galera and Castril to name a few. All in all, Granada Homes provides an ideal solution whether you are looking for full time residential living or for future investment. Homes Granada is an Independent Spanish Property Agent. 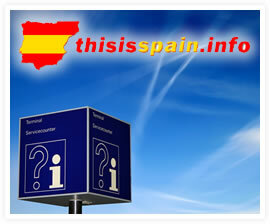 We make buying property in Spain straightforward. As a Homes Granada client you benefit from our local knowledge and experience in the Andalucía region. From helping you find your property through to furnishing your house, we are here for you every step of the way. Pichiclan Group are property agents/builders in Andalucía selling and reforming all types of property including town houses, apartments, building plots, villas, country houses and fincas. Our local properties include new build, renovation and re-sale property for permanent living as well as investment. We offer a first class independent estate agency service who will not only find you the Spanish property you seek but can offer help with other professional and after sales services. Here at Real-Spain you have the opportunity to purchase quality new build and resale properties in Spain. Whether it’s your dream villa in the sun, the perfect holiday retreat, a romantic finca in a picturesque village, a modern apartment in a cosmopolitan town or purely a lucrative investment opportunity, Real-Spain can help you achieve your goal. The staff at Rural Granada Homes can help you to find the perfect property in Spain, whether you want a home or business in the sun, bar, restaurant, cafe, bed and breakfast, guest house, hotel, holiday apartment, villa, town house, rural property, or cave working with our many local contacts built up over many years, we offer a friendly and efficient service. Many of our properties at Spanish Rural Properties are in and around the province of Andalucía, including traditional and modern Spanish property for immediate occupation or reform or renovation. Clients tell us that we have been the best agents they have dealt with in the process of them buying their dream home in Spain.